U.N. ambassador Susan Rice on Thursday officially withdrew her name from consideration to replace Hillary Clinton as secretary of state, citing in a letter to President Obama the "lengthy, disruptive and costly" nominating process she was sure to face if tapped for the job -- a disruption she argued the nation "cannot afford." 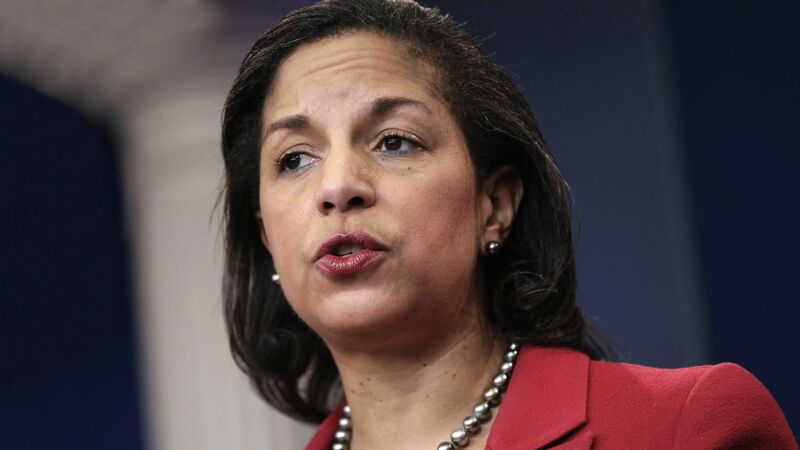 Rice, who was considered a top contender for the position, has been recently embroiled in ongoing controversy surrounding her account of the September 11 Libya attacks, which she discussed in a series of talk show appearances on September 16. In her letter to the president today, Rice said she was "saddened" that the position had become so politicized, but argued Congress has more important battles to fight. "I am highly honored to be considered by you for appointment as Secretary of State. I'm fully confident that I could serve our country ably and effectively in that role," she wrote. "However, if nominated, I am now convinced that the confirmation process would be lengthy, disruptive and costly - to you and to our most pressing national and international priorities. That trade-off is simply not worth it to our country. It is far more important that we devote precious legislative hours and energy to enacting your core goals, including comprehensive immigration reform, balanced deficit reduction, job creation, and maintaining a robust national defense and effective U.S. global leadership. Therefore, I respectfully request that you no longer consider my candidacy at this time." In a statement, President Obama acknowledged that he had "accepted" Rice's decision to remove her name from consideration, and expressed "every confidence" in her ability to "serve our country now and in the years to come." On Thursday evening, Rice tweeted: "Those of you who know me know that I'm a fighter, but not at the cost of what's right for our country. I don't do this work for me. I do it because I believe in President Obama's approach to the world, and I want to get things done. To all my followers: I appreciate you. We've still got a lot of work to do for the American people and the world. #Letsgo." But the president, who fiercely defended Rice against the recent criticism, expressed deep regret over the attacks, which he called "unfair and misleading." "Her decision demonstrates the strength of her character, and an admirable commitment to rise above the politics of the moment to put our national interests first," Mr. Obama said in the statement. "The American people can be proud to have a public servant of her caliber and character representing our country." Diplomats at the U.N. were shocked at the withdrawal announcement, particularly because she appeared to be assured of the president's support, reports CBS News foreign affairs analyst Pamela Falk. Even her adversaries among the diplomatic corps at the U.N. had expressed their respect for her advocacy of U.S. interests. Nevertheless, Rice had begun to express doubts about her nomination, as recently as this week at a holiday celebration in her apartment in New York, which select members of the diplomatic and press corps attended, saying the attacks had reached a fevered pitch, Falk reports. On September 16, five days after the attacks in Benghazi that caused the death U.S. Ambassador to Libya Christopher Stevens and three other Americans, Rice appeared on a handful of Sunday morning political talk shows to discuss the incident. Rice's comments on those shows were guided by CIA talking points that, according to a U.S. intelligence official, "were written, upon request, so members of Congress and senior officials could say something preliminary and unclassified about the attacks," and reflected the possibility that the attacks were a result of spontaneous protests spurred by an anti-Muslim video. As details trickled out contradicting that possibility, Republicans pounced on the discrepancies between Rice's comments and others, and the ambassador ultimately clarified that there had been "no protest or demonstration in Benghazi" and that "the intelligence assessment [had] evolved" since her Sept. 16 comments. A spokesperson for the Director of National Intelligence told CBS News that "the intelligence community assessed from the very beginning that what happened in Benghazi was a terrorist attack," and that Rice would have been privy to that characterization -- which was shared at a classified level -- since she's a member of the president's cabinet. But CBS also learned that the Office of the Director of National Intelligence (DNI) cut specific references to "al Qaeda" and "terrorism" from the unclassified talking points given to Ambassador Susan Rice ahead of her television appearances. A handful of Republican lawmakers -- chiefly Sens. John McCain, R-Ariz., Lindsey Graham, R-S.C., and Kelly Ayotte, R-N.H. -- seized on the controversy, targeting Rice's credibility as a potential secretary of state in a series of recent press conferences and threatening to block her nomination. Sen. Susan Collins, R-Maine, also questioned Rice's leadership, and offered up Sen. John Kerry, D-Mass., as her preferable candidate for the job. Following Rice's announcement on Thursday, Graham released a statement saying he "respected" her decision, and that "President Obama has many talented people to choose from to serve as our next Secretary of State." He said he remained "determined" to find out "what happened - before, during, and after the attack" in Libya. A brief statement from McCain spokesperson Brian Rogers reflected a similar sentiment: "Senator McCain thanks Ambassador Rice for her service to the country and wishes her well. He will continue to seek all the facts surrounding the attack on our consulate in Benghazi that killed four brave Americans," he said. "Face the Nation" anchor Bob Schieffer reports key Senate Republicans quietly passed the word to Vice President Biden last week that it was going to be all but impossible for her to be confirmed. Biden was told there was virtually no support for Rice among Republicans and that some Democrats were also beginning to question whether she was the best choice. Additionally, Schieffer reports Rice seemed to be wavering recently about whether she really wanted the job. "I have two children," she told Schieffer. "I would want to talk to them. It would be a family decision." With regard to the scrutiny of her financial investments, Payton Knopf, Deputy Spokesperson of the U.S. Mission to the U.N. told CBS News, "Ambassador Rice has complied with annual financial disclosure and applicable ethics requirements related to her service in the U.S. government and is committed to continuing to meet these obligations." Rice's withdrawal will make it easier for Secretary of State Clinton, who is due to testify about the Benghazi episode next week on Capitol Hill, but Senator Graham said Rice's withdrawal is not the end of the controversy. Graham told me tonight the administration "is still inexplicably stonewalling and we still want answers."